Civil rights lawyers Morris Dees and Joseph Levin founded the Southern Poverty Law Center (SPLC) in 1971. The SPLC is an organization dedicated to exposing and combating radical extremism, hate, and bigotry while seeking justice for the most vulnerable citizens in our society (SPLC, 2014). The SPLC works to track and expose the activities of extremist and hate groups throughout the country. 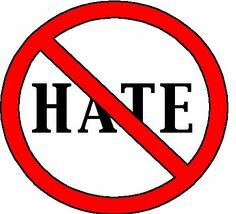 Congress has defined a hate crime as a “criminal offense against a person or property motivated in whole or in part by an offender’s bias against a race, religion, disability, ethnic origin or sexual orientation” as reported by the FBI (FBI, 2014). Radical extremists, hate groups, and movements are formed based on ideology about religion, politics, race, ethnic origins, gender, or sexual orientation. Some of these individuals and groups only want to educate others about their beliefs, but others are motivated into action with criminal intent. According to the SPLC, an average of 191,000 hate crimes occur per year in the United States (SPLC, 2014). The SPLC reports that there are 939 active hate groups in the United States in 2013, which represents a 56 percent increase since 2000. SPLC also reports the alarming growth of radical extremist and hate groups since 2008. In 2008, there was a reported 888 hate groups being tracked by the SPLC. In 2012, the SPLC was tracking 1,007 hate groups. In just four short years, 119 new hate groups formed. The SPLC says that this growth in hate groups can be attributed to President Barrack Obama’s election as well as the current economic and job market conditions. The threat of these extremist individuals and groups can best be illustrated by the example offered by the SPLC on the white supremacy movement, Stormfront. Stomfront has a white nationalist ideology and was formed in 1995 by former Alabama Klan leader and long-time white supremacist, Don Black. Stormfront was the first major hate website on the Internet and states that they have 130,000 registered members. SPLC is reporting that in the last 5-years, registered members of the Stormfront have committed nearly 100 homicides (SPLC, 2014). The report by the SPLC on Stormfront says that the website “acts to nurture budding killers and give them moral support” (SPLC, 2014). In 1998, James Byrd, Jr. was an African-American who was murdered in Jasper, Texas by being dragged for three miles behind a pick-up truck by three men, of whom at least two were white supremacists. Lawrence Russell Brewer was executed in Texas 2011 for his involvement in the hate murder of James Byrd. Matthew Shepard, a gay student at the University of the Wyoming, was beaten, tortured and left to die in October 1998 by two men who tied him to a fence where he wasn’t found until the next day. Shepard died five days later from severe head injuries. His assailants received life in prison without parole. Daniel Fetty was murdered in 2004 by two men in Waverly, Ohio who beat him to death with bricks and boards for being gay, hearing-impaired, and homeless. In 2005, Ronnie Antonio Paris was a three-year-old boy who lived with his parents in Tampa, Florida. He died due to brain injuries stemming from severe abuse at the hands of his father, who thought the child would turn out to be gay. In 2005, Jason Gagewas murdered for being a homosexual in Waterloo, Iowa. In New Jersey in 2012, a man was arrest and charged with arson for firebombing two synagogues. Anthony Graziano, 19, admitted to police that he started the fire because he hated Jews. In 2012, a man who reportedly made anti-gay slurs about his transgendered girlfriend in a New York City McDonald’s attacked 24-year-old Jamar McLeod. The restaurant’s surveillance cameras recorded the incident. In 2013, Lashawn Marten, was charged with manslaughter as a hate crime for the deadly Union Square Park attack on a 61-year-old white man after police stated that he said he would “punch the first white man” he saw. Police say this was a racially motivated attack. In 2014, in Kansas City Frazier Glenn Miller, a former “Grand Dragon” of the Carolina Knights of the Ku Klux Klan killed three people at the Jewish Community Center of Greater Kansas City and at the Village Shalom Retirement Center. Miller will face hate crime charges associated with these homicides. Naveed Afzal Haq shot six women at the Jewish Federation of Greater Seattle in July 2006, killing one of them. He was sentenced to life without parole in 2009, plus 120 years. In 2009, white supremacist and Holocaust denier James Wenneker von Brunn entered the United States Holocaust Memorial Museum in Washington, D.C. in hopes of killing innocent Jews. During his attack, Special Police Officer Stephen Tyrone Johns, was mortally wounded protecting the lives of innocent museum goers. Other special police officers returned fire and stopped von Brunn before any innocent citizen was harmed. Von Brunn died in custody in 2010 while awaiting trial. Posted in Mark's Articles and tagged Corrections, Courts, Crime Analyst, Crime Scene, Criminal Intelligence, Criminal Justice, Criminology, Dispatcher, K-9, Motorcycle Police, Police, Sheriff. Bookmark the permalink.